Punchestown Irish National Hunt Festival is one of the main Irish sporting & social event in Kildare. We are Killashee House Hotel are very excited about the week-long events. The hotel has the horse racing buzz with owners, trainers, regular festival attenders, staff & all guests looking for the best tips & fashion for the week. The Glamour & Style is not to be missed! There is racing each day with the best of the best races including top international jockeys, trainers & horses. The festival is not all about horse racing however with live entertainment- music, fashion shows, children’s entertainment & expert betting panels, the Festival Shopping Village which has over 50 exhibitors, lively bar scene, Doddins Food Hall & The La Touch Café Bar serving an array of top quality dishes & lets not forget the Best Dressed ladies Competition! We at Killashee House Hotel have both dining options open for the Festival. Turners Fine DiningRestaurant open Tuesday to Saturday from 7pm with last sitting at 9.30pm. We also have Jacks Bar & Bistro, that is open all day until 9.30pm for Lunch & then dinner. We will have live music every night of the Festival also from 10pm in Jacks Bar & Bistro so a great atmosphere is guaranteed. The Snug Pub our traditional Irish Pub will be open from 7pm Tuesday to Sunday for the Festival. 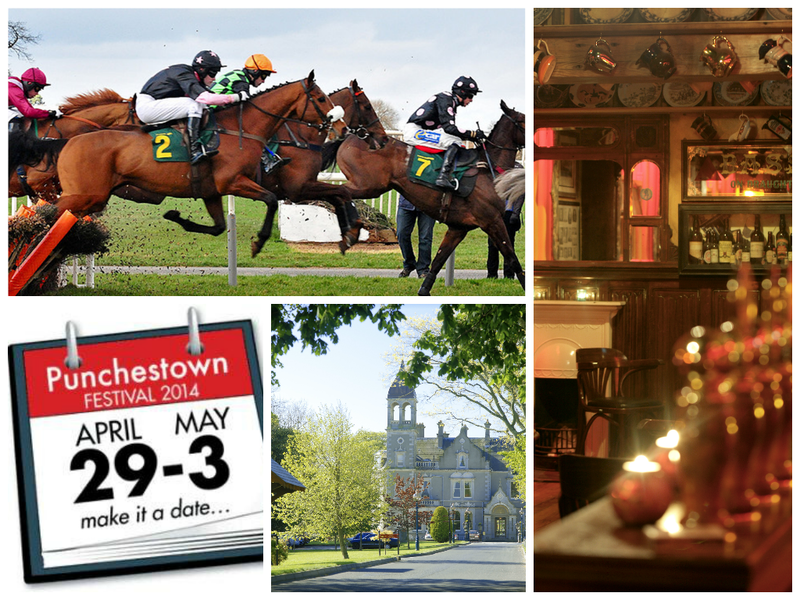 This Festival has it all; Atmosphere, Entertainment, Sport & Family Fun, so make sure to pay both Punchestown & Killashee House Hotel on this fantastic week!